That’s why we decided to spotlight 10 films set to be released in 2017 that aren’t based on anything. Not a novel, not a TV show, not a video game, not a comic book — nothing. But from sharp horror satires to cool sci-fi dramas to gonzo action-thrillers to acclaimed auteur dramas, these movies might be among the most rewarding of the year … precisely because we don’t automatically know what to expect from them. What’s It About? A young black man (Daniel Kaluuya) visits his white girlfriend’s (Allison Williams) parents in the suburbs, quickly becoming suspicious that they want to do something horrible to him. Why Should I Care? On paper, Get Out sounds like a horror-movie twist on Meet the Parents, but there’s also a satirical angle to the premise. Written and directed by Jordan Peele (making his feature directorial debut), Get Out aspires to be a Key and Peele­-style genre spoof that targets racism by showing how, for its African-American character, hanging out with a bunch of distrustful rich white people is as frightening as a slasher film. What’s It About? Set against the backdrop of the Austin music scene, two troubled couples pursue fame and fortune. Why Should I Care? Filmmaker Terrence Malick — celebrated for contemplative dramas such as The Tree of Life — isn’t known for making movies that rock. Song to Song could change that. With a cast that includes Rooney Mara, Christian Bale, Michael Fassbender and Natalie Portman, the movie supposedly dives into the world of indie rock, even featuring concert performances. (Everyone from the Red Hot Chili Peppers to Patti Smith to Iggy Pop is apparently in Song to Song.) Malick has always had a knack for crafting powerful mixtures of visuals and music in his movies, but they’ve tended to have classical or symphonic scores. What would a Malick film feel like turned up to 11? We’re about to find out. What’s It About? In the midst of World War II, Allied European soldiers must fight their way out after being surrounded by German forces in Dunkirk, France. Why Should I Care? Dunkirk is the newest film from director Christopher Nolan, who’s made his first war epic after years of Batman movies and sci-fi puzzlers (Inception, Interstellar). Kenneth Branagh, Tom Hardy, Mark Rylance, Cillian Murphy and even Harry Styles are part of the cast, and this action-thriller looks to be the big grownup event movie of the summer. Plus, because Nolan is such a fan of shooting on film and in IMAX, Dunkirk is gonna be something you’ll want to see on the biggest screen possible. What’s It About? A getaway driver is in peril after a robbery goes bad. Why Should I Care? When we last heard from Shaun of the Dead director Edgar Wright, he was exiting Ant-Man after creative differences with Marvel. So Baby Driver is his first film in four years, and it looks to be another hyper-stylized action movie from the man behind Hot Fuzz, Scott Pilgrim vs. the World and The World’s End. The movie stars The Fault in Our Stars heartthrob Ansel Elgort in a change-of-pace role, and he’s being backed up by a stellar cast that includes Jon Hamm, Jamie Foxx and Kevin Spacey as a mob boss. Why Should I Care? This fact-based tale is the first serious drama that Tom Cruise has done since 2007’s critically maligned Lions for Lambs. But after years of tentpoles, American Made might give the superstar an opportunity to remind people of his acting chops. (It’s easy to forget how great he’s been in everything from Rain Man to Eyes Wide Shut to Magnolia.) Plus, the film reunites him with director Doug Liman — they last made Edge of Tomorrow, which was one of Cruise’s best recent vehicles. 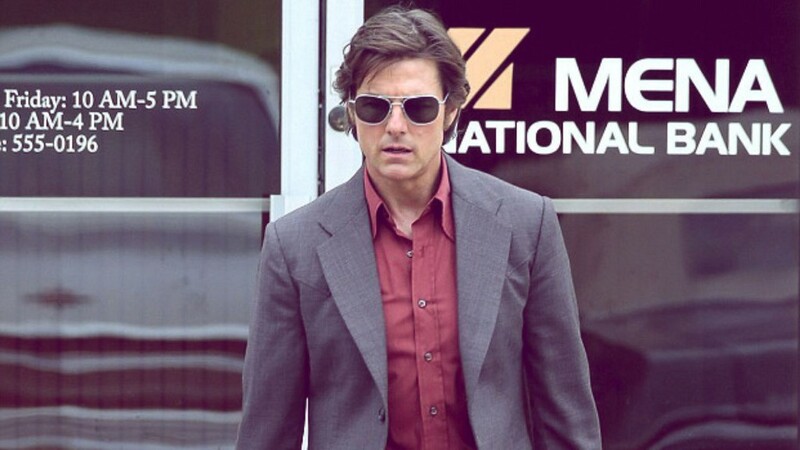 American Made sounds like it could be a rollicking American Hustle-esque true-life thriller that involves the Iran-Contra scandal, Ronald Reagan and even then-Arkansas Governor Bill Clinton. What’s It About? Criminal brothers (Adam Driver, Channing Tatum) stage an ambitious heist during the middle of a NASCAR race. Why Should I Care? When Steven Soderbergh announced his retirement in 2013, no one quite believed it. First of all, he’s (relatively) young — he turns 54 in February — and second, he was still busy working on projects like Cinemax’s original series The Knick. But his first new movie since Side Effects looks to be an Ocean’s Eleven-like romp, featuring his Magic Mike star Tatum alongside Driver, Daniel Craig, Katherine Heigl, Hilary Swank and Katherine Waterston. In other words, it’s full-on fun Soderbergh, one of his best looks. What’s It About? A near-future where humanity has confirmed that the afterlife exists, a revelation that inspires millions to kill themselves. Why Should I Care? The Discovery, which premieres at the Sundance later this month, boasts a hell of a premise. And it comes from director and co-writer Charlie McDowell, whose previous film, The One I Love, also had a killer hook: In that 2014 indie, a married couple go to a retreat to repair their relationship, only to discover that their rental house is occupied by doppelganger versions of themselves. The Discovery also mixes sci-fi with romance — there’s supposedly a love story at the center of this movie — and stars Jason Segel, Rooney Mara, Robert Redford, Jesse Plemons and Riley Keough. But that juicy plotline, with its faint echoes of The Leftovers, is its undeniable selling point, destined to launch a thousand thinkpieces about what people would do if they knew there was a heaven. What’s It About? A brilliant scientist (Colin Farrell) becomes enmeshed in a dysfunctional family, with horrifying results. Why Should I Care? Farrell gave one of his best performances in The Lobster, and now he’s reunited with that filmmaker, Greek director Yorgos Lanthimos, for this new project. Not a lot is known about The Killing of a Sacred Deer’s plot, but considering that it comes from the mind of Lanthimos — who previously made Dogtooth, a dark satire about a truly twisted family — it’s highly likely this new movie will be just as upsetting and gruesomely funny. Farrell will be joined by Nicole Kidman … and Alicia Silverstone, who might be on her way to a comeback if Sacred Deer is as terrific as Lanthimos’ previous films. What’s It About? A young girl does battle with an evil corporation that’s trying to kidnap her beloved pet Okja. Why Should I Care? Because it’s directed by Bong Joon-ho, the genius South Korean filmmaker behind Snowpiercer and The Host. Okja appears to be a little more playful than those supremely dark films, although supposedly Okja is some kind of monster. 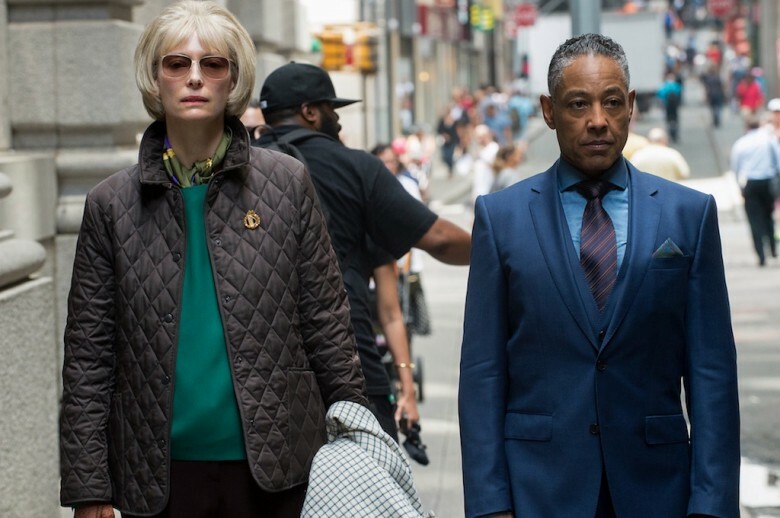 Plot details are sparse, but have faith in the cast: Tilda Swinton, Lily Collins, Paul Dano, Jake Gyllenhaal, Steven Yeun and Giancarlo Esposito. What’s It About? Nobody knows. But it’s set in London’s fashion scene of the 1950s. Why Should I Care? Anderson makes movies that exist in their own universes, whether it’s the American frontier of the early 1900s (There Will Be Blood) or L.A.’s stoner subculture of the 1970s (Inherent Vice). He’s keeping his latest project incredibly close to the vest — it doesn’t even have a title yet — but what matters is that he’s once again zeroed in on a unique milieu he wants to dissect. And he’s reuniting with Daniel Day-Lewis, who won his second of three Best Actor Oscars for his work in There Will Be Blood. (Day-Lewis has only made two movies since — one of them was Lincoln, which also snagged him an Oscar.) At this point, you could tell us Anderson’s new movie was about Day-Lewis narrating the history of saltshakers, and we’d be interested. And even if we weren’t, it’s still sure to be way better than Batman v Superman.